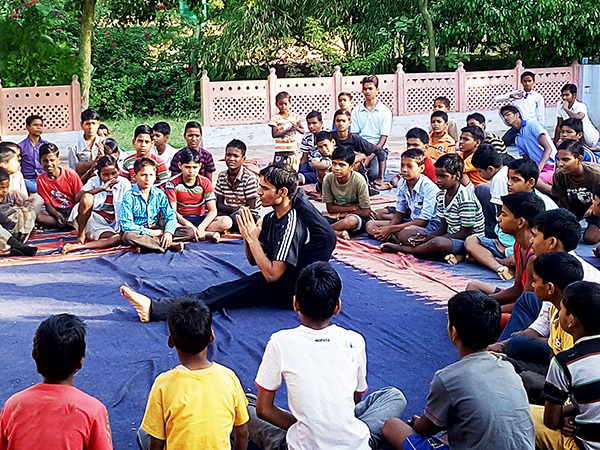 Hailing from Saharsa district in Bihar Suman now 23 is happy with himself, his achievement and the fact that now he will be able to pursue his passion, yoga not just to help himself but to help others. What makes his accomplishment more commendable is the fact that suman as a seven year old was a domestic labourer forced to work for almost two years at an Engineer’s house in Bihar by his own mother. He would accompany his mother who would work as a domestic help at the place. She fell ill and went back to her village. In order to pay off the debt that she had taken from the employer she left little clueless suman to continue working in her place till he could pay off the debt. The little child would stay at the house for the next year and a half and work full time doing all the household chores. His mother would always struggle with the fact that on one hand she wanted a better life for Suman but on the other hand she felt helpless with the situation. In 2001 she decided to approach the local BBA activists and ask them for help. Her elder son, Suman’s brother was already studying at Bal Ashram the long term rehabilitation center of BBA. That is how Suman aged about nine came to study at Bal ashram in Rajasthan. He stayed on here till 2010 and finished his schooling. 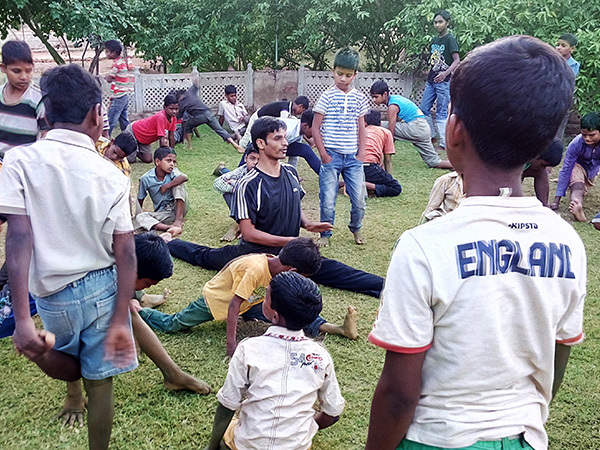 Here at the Ashram he was encouraged to discover his interests and would actively take part in sports and yoga. His desire to study further brought him to Delhi where he completed his graduation through correspondence from Delhi University. Here he also did a diploma in graphic design and continued to pursue his interest in Yoga. 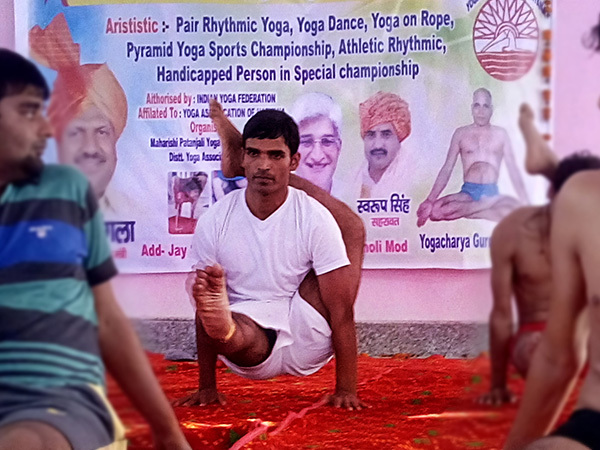 He began taking individual classes and also started participating in various yoga competitions. 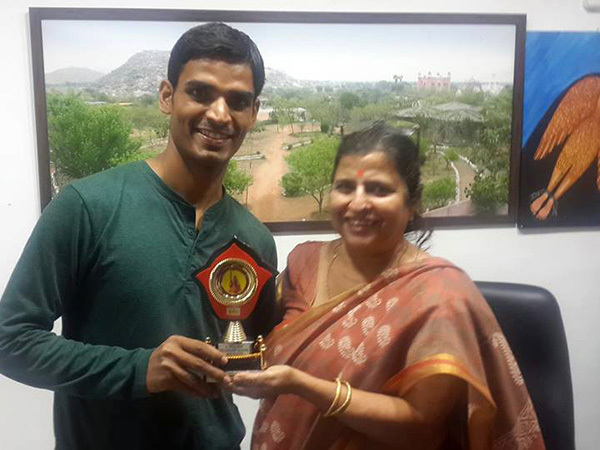 The first competition he took part in was in Jaipur where he stood third at the district level. The next competition was in Nagor where he stood second. 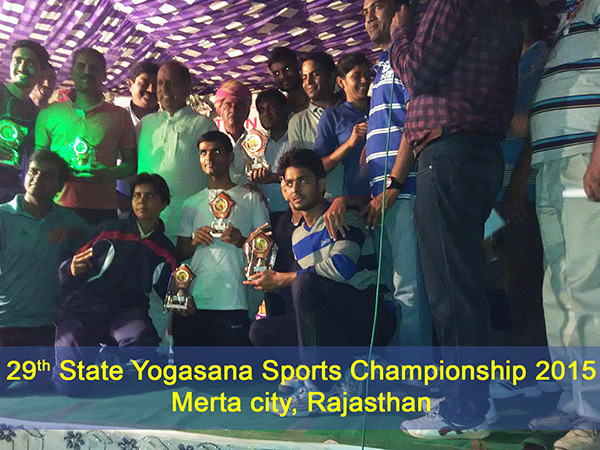 His winning streak continued as he recently won the first place at state level yogasana competition held in October this year. The event saw participation of over 18 districts of Rajasthan.